One of Britain's greatest-ever artists apparently touched up one of his most famous works to mark the death of a close friend. John Constable’s The Great Salisbury – more properly known as Salisbury Cathedral from the Meadows – is one of his greatest works. But the painting we know and love today may have been rather different when it first went on display. The British painter originally exhibited the work in 1831, and the Tate’s curator Amy Concannon revealed in a recent paper that none of the contemporary reviews mentioned a rainbow at all – an extraordinary omission given that it is one of the central elements of the piece, and all the more so given that the same reviews spoke at length about the chaotic sky in the piece. 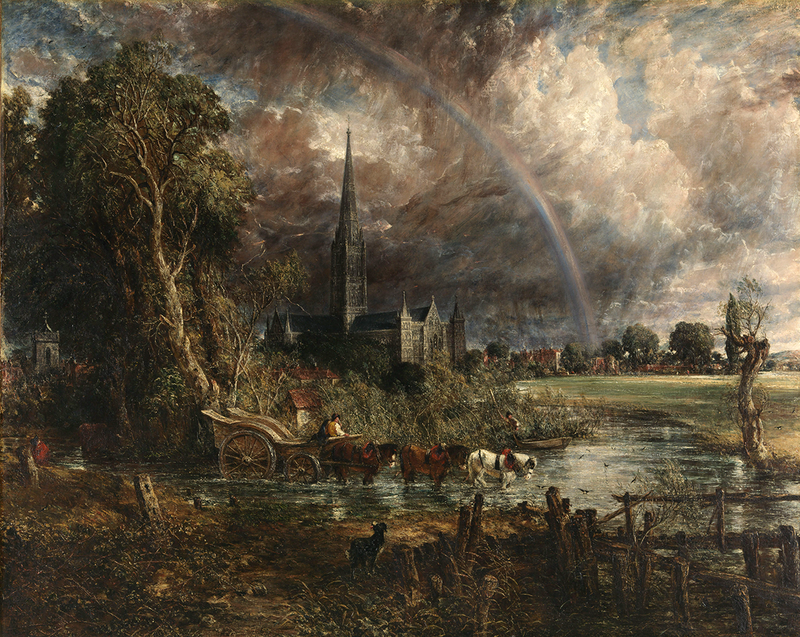 Concannon’s conclusion in the paper – published as part of the Tate’s In Focus series – is that Constable very likely added the rainbow in August 1832 following the death of a friend, Salisbury cathedral Archdeacon John Fisher. The In Focus series about the painting also includes a paper by Prof John Thornes of the University of Birmingham, who demonstrates that the rainbow probably corresponds to the size and shape of one that might have appeared on the afternoon of his friend John Fisher’s death – 25 August 1832 – theorising that Constable added the rainbow to mark the death of his friend. Art historians have previously noted that the base of the rainbow rests on the place in the cathedral grounds where Fisher’s house stood, but had not gone on to examine the rainbow’s solar geometry in relation to this finding and whether it could have appeared in the sky at the time of Fisher’s death a year after the painting was made. Thorne does exactly that in extraordinary detail, examining the lengths of shadows, angles and vantage points to explain how the rainbow seen in the picture could well have been observed around the time of Fisher’s death in late August. It’s a fascinating theory, and adds more intrigue to a painting which Constable himself considered his most important work.